The task for caring for society’s most vulnerable citizens was first taken on by churches, then by towns, and now primarily by the state. Folks like Patrick J. “Pat” Johnson Jr., former head of Catholic Charities of the Archdiocese of Hartford and Oak Hill, Inc., believes that is as it should be. “The state is backing away from its fundamental responsibility to care for the needy,” Johnson said. 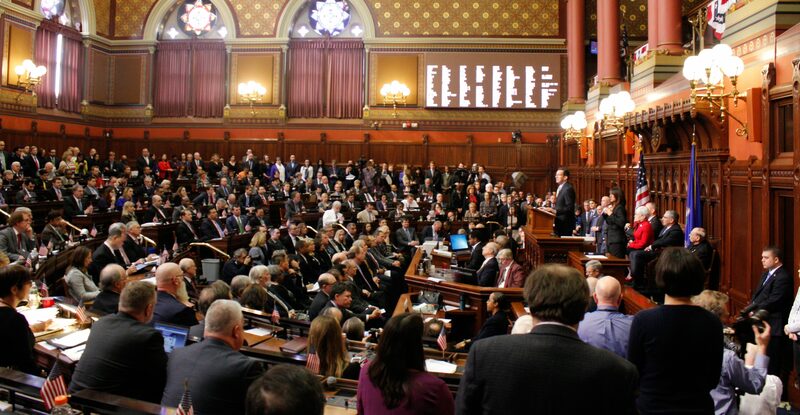 As CT Mirror has reported, the state has cut or flatlined funding to nonprofits over the past dozen years, which Johnson characterized as balancing the budget on the backs of our neediest residents. How can this be reversed; how can the state maintain its commitment to those with developmental disabilities, mental health or addiction issues and other conditions in difficult budgetary times? There are ideas out there; one of the most interesting is a change in how people who need residential services are housed. With higher taxes politically unpalatable, the obvious answer to building a stronger budget is growth. Dan Fiorentino has a job, a supportive family and a passion for the Boston Red Sox. But because he has Down Syndrome, there’s no telling when he’ll be able to live on his own. Connecticut’s economy has been one of the slowest growing in the nation over the past decade or more. Get the state moving again and there will be more tax revenue to support nonprofits as well as more private wealth to support philanthropy, said Will Ginsberg, president & CEO of The Community Foundation for Greater New Haven. Ginsberg, who has had many struggling nonprofits knocking on his door asking for help, said the keys to growth are innovation; investment in infrastructure, notably transportation and education; and investment in existing assets such as the state’s bioscience and health care clusters. We can’t just focus on the spending side, he said. Connecticut needs to promote growth on the revenue side as well. In the world of state budgets, nonprofits are a kind of second-class citizen. In fiscal 2018, more than half the state budget — 53 percent — went to so-called fixed costs, expenditures such as wages, benefits and borrowing costs deemed not subject to cuts, said Gian-Carl Casa, president and CEO of The Alliance, which represents more than 300 nonprofits. He said the percentage of fixed costs grows every year. That, in combination with budget shortfalls, “means community nonprofits are a shrinking piece of a diminishing pie,” he said. If this continues, the state will compromise its ability to provide for persons with developmental disabilities and mental health and addiction issues, support formerly incarcerated individuals, and support the arts and cultural activities that define the state’s quality of life. The way to avoid that outcome, Casa said, is to determine the appropriate level of support the nonprofits need to deliver necessary services, and then make that number a fixed cost, as off limits as other fixed costs. This could be a hard sell politically — towns and higher ed will likely want the same treatment — but letting the nonprofits languish is not a viable solution, either. There may be other ways to gain efficiencies from state government. Barry Simon, president and CEO of Oak Hill, Inc., suggests the state could name an “overtime czar” to monitor overtime payments that cost the state tens of millions of dollars a year and find ways to lower that cost. For example, Southbury Training School ran up $12.3 million in overtime in 2016, The Hartford Courant reported last year. Some direct care workers made more than the governor, the newspaper reported. Another idea just made public by the state’s new Pension Sustainability Commission is to sell, lease or develop state-owned properties and then put the money in a special trust fund to help alleviate the state’s staggering pension liability. For example, to use Southbury again, when the training school closes, as it eventually will, the state could work with a developer to create a residential community or find another use for the property. Such aggressive development has been characteristic of some other states — New York and its Empire State Development Corp., for example — but not Connecticut, which has let some properties, such as the former Seaside Regional Center in Waterford, fall into disrepair. The idea of some kind of real estate trust is gaining support in the nonprofit community, because lowering the pension liability could provide more resources for the chronically underfunded organizations. Repurposing excess or unneeded property “happens in the private sector fairly regularly,” said Win Evarts, executive director of the ARC of Connecticut, an advocacy group for individuals with developmental disabilities, who praised State Rep. Jonathan Steinberg, chair of the new commission, for driving this concept. Budget cuts have forced most nonprofits into a lean management mode. Are there ways for them to gain even more efficiency? The nonprofit world has gotten extremely complicated, with multiple regulatory and licensing requirements, union issues, occasional legal actions, etc. Though the board is ultimately responsible for the management of the nonprofit, it’s difficult to get volunteers to do the really hard work. Yet if a board just rubber-stamps the work of the CEO, it isn’t doing the organization much good. Many private companies pay their board members and make them work for the money, in a variety of planning, policy and problem-solving roles. Why shouldn’t the nonprofit sector do the same thing, using board members with backgrounds in business, finance or health care? Horak recognizes this is an unusual if not radical idea, but thinks it’s “an experiment worthy of consideration.” He’d like to see a funder such as the Hartford Foundation for Public Giving make a grant to a nonprofit as a test case, to see how it works. The board members receive $250 for attending each quarterly board meeting, with a bonus of $1,000 for attending at least three of the meetings. Her board has 16 members, from business, finance, medicine and advocacy. She said a few decline the stipend. Perhaps the most tangible innovation in this area is a set of new housing options for persons with developmental disabilities. When the Mansfield Training School closed in 1993, the clients mostly went to group homes, which were then state of the art. The New London Homeless Hospitality Center, where Ed Harrison lives, is lucky that donations have risen lately, because the state’s contribution has fallen since five years ago. Time marched on. A quarter century later, officials came to see that many group homes, particularly larger ones, were somewhat like the institutions they replaced — enclosures with little community contact — and that not everyone needed to be in a group home. With proper supports, some could live with families (including their own), with roommates, or by themselves. Major innovations in communication and monitoring technology made it possible for people to live more independently and at less expense, and ease the workforce crisis among caregivers, said Esme Grant Grewal, vice-president for government relations for the American Network of Community Options and Resources, a national, nonprofit trade association that represents more than 1,400 providers of services to people with disabilities. 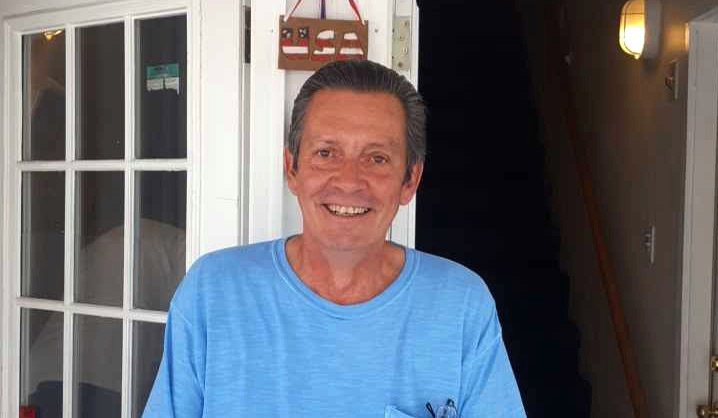 The new models range from independent living with supports, to various “shared living” models such as adult foster care, host housing or — Connecticut’s term — companion housing. 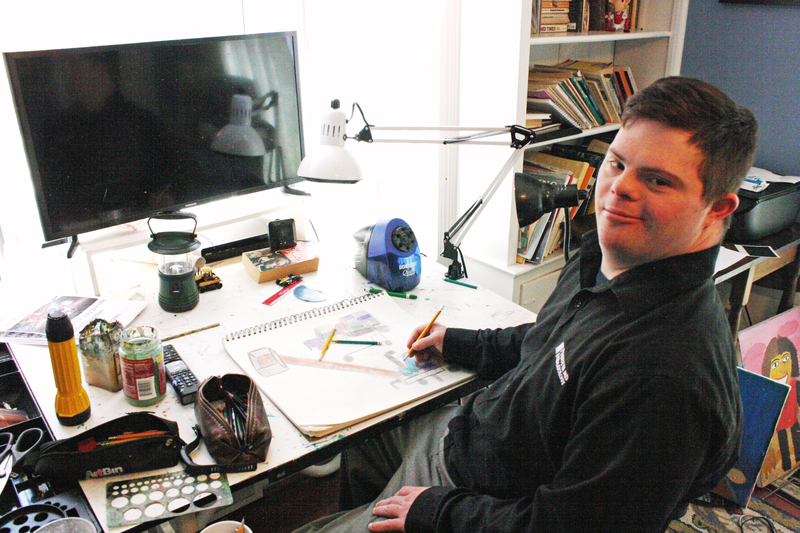 The idea behind the new models is that a person with developmental disabilities lives with a family or, in another variation, with a roommate who does not have developmental disabilities. Instead of 24/7 care, many will need just a visit during the day. Monitoring equipment can tell if a door is unlocked, a stove is on, or if the person hasn’t taken medications, among other things. Connecticut is headed in this direction, said Kathryn Rock-Burns, chief of staff of the Department of Developmental Disabilities, moving toward “less institutional, more integrated living.” She said the department has received funding to develop pilot projects in this area, in partnership with nonprofit providers. Meriden-based MidState Arc Inc. has already moved five former group home residents into “smart home” environments, with care appropriate to their needs. Plans call for eight more to be moved from group homes to apartments, which executive director Pamela Fields believes can provide a better living environment and, with the use of new technology, save about $250,000 a year in staffing costs. She doesn’t think staffed group homes will go away, but will be used for persons who are extremely frail, or who have serious behavioral issues. Other state agencies offer different housing variations. For example, the Department of Mental Health & Addiction Services has 254 of its nearly 2,200 residential clients in group homes, the rest are in other kinds off housing including 811 in “supervised apartments” where the clients live by themselves but receive services from staffers based in the community, according to DMAS spokesperson Mary Kate Mason. Since 2011 the Department of Children and Families has moved nearly 1,000 of its young clients from group settings to families, many to “kinship homes,” the homes of family relatives or friends, said department spokesperson Gary Kleeblatt. He said the shift — 1,426 in congregate settings in 2011 to 440 this spring — allowed the department to reduce spending by $90 million. The department was allowed to keep 80 percent of the savings for community-based services, he said. It may take all of the above and more to get the nonprofit ship steadied, but advocates will be pushing for these changes. 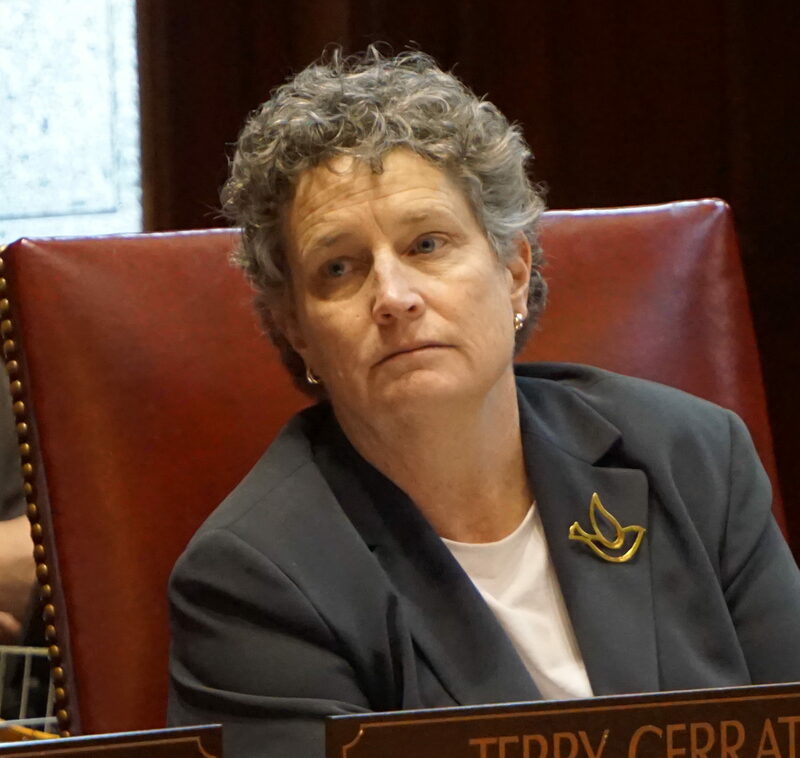 The current system, of funneling work to nonprofits while simultaneously cutting their funding and of paying nonprofit workers much less than state workers for the same work, “is not right at any level,” said State Sen. Beth Bye, who founded the General Assembly’s developmental disabilities caucus four years ago.